I was recently introduced to the wonderful world of Holiday Gas Station Iced Coffee. My typical routine each week is to get an iced coffee from Starbucks on Tuesday morning (it is my tired morning). After paying close to $5.00, I’m feeling a bit guilty and realizing that it is costing me $20 a month and $240 a year – and that is if I only go once a week! Holiday Gas Station has the perfect solution – for less than $2.00, I can get the exact same thing and I get to make it myself so I know it will come out right. Isn’t it the worst when you are looking forward to your pricy pick-me-up and the barista botches the job? Anyway, they have a variety of syrups (including sugar free), creamers (including skim milk), sugar, and even cooled coffee so the ice doesn’t melt right away. GENIUS! 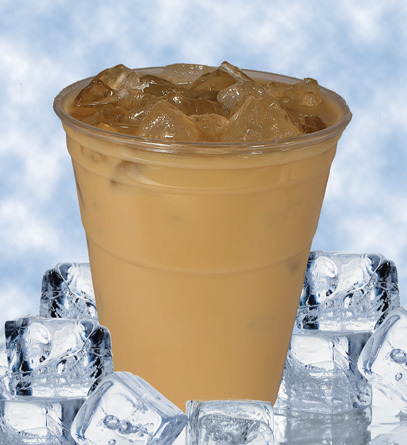 Next time you are craving a refreshing iced coffee, stop by Holiday Stations for a nice alternative.